Below you can view all the homes for sale in the Centennial Commons subdivision located in Acworth Georgia. Listings in Centennial Commons are updated daily from data we receive from the Atlanta multiple listing service. To learn more about any of these homes or to receive custom notifications when a new property is listed for sale in Centennial Commons, give us a call at 404-998-4102. 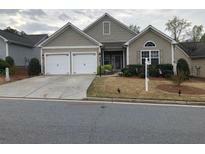 Perfect For Entertaining & Close To Highways/Shopping! Owner Is Agent. MLS#6531971. High Caliber Realty. Close To Highways, Shopping, Restaurants, Award Winning Schools & More! Home Will Not Disappoint! 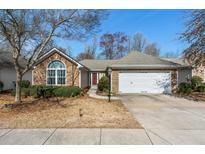 MLS#6529535. Keller Williams Realty Community Partners. Close To Highways, Retail, Restaurants, Award Winning Schools And More! MLS#6521739. Atlanta Communities. Needs Tlc(Paint & Carpet). Neighborhood Has Swim/Tennis. MLS#6521748. Harry Norman Realtors. Hoa Fees Include Front Yard Maintenance. MLS#6519898. Keller Williams Realty Partners.